Knowing how to write an attention-grabbing, appropriately formatted press release is an essential skill for any copywriter. Whether your clients are in industry, the public sector, sole traders or charities, you will almost certainly be asked to produce press releases on different topics and you will be expected to know exactly the style and tone that is required. In this episode of A Little Bird Told Me, Lorrie and I discuss when press releases are useful (and when they should be avoided), as well as how to go about writing them. PW: And I’m Philippa Willitts, and this week we are going to be talking about writing press releases. How to write them, what they’re used for – that kind of thing. The ability to write a press release is an essential skill for a freelance copywriter – every client will expect you to be able to do it, and to do it well, so mastering the techniques involved is vital. So we want to first look at what press releases are. LH: A press release is a pretty important exercise in branding. It’s an official statement that a company or organisation issues to newspapers, websites, magazines and other publications in order to publicise and share, and inform on a certain subject or event. Put simply, a press release is an official news story, so it’s important that you get it 100% right every time – firstly, because it’s your, or your client’s official word on a particular subject and will set the tone for your or their business, and secondly, because publications receive a lot of press releases from people wanting to shout about something, so the press release itself needs to conform to a strict set of standards to avoid ending up unread and in the sin bin. If an editor or journalist can’t get the right information from your press release straight away, they don’t have the time or the inclination to sit there trying to puzzle it out. PW: They are written with a really distinctive style and have to follow certain rules, which we will go on to talk about later. But a key thing is that they’re not the place to indulge in extreme creativity or bending the rules! They have a particular format, and if nothing else, journalists are used to receiving them in that format, so sticking with the convention is important if you want to have a hope in somebody picking up your release and publishing a story about it. If they have to hunt around for key information they just won’t bother. LH: I’ve seen some scarily creative press releases in my time, and I’ve never been impressed by them – it’s never worked. I know some people can get a bit creative with news stories, articles, job applications, but not press releases. So, now we’ve talked about what press releases are, we want to discuss what they’re used for. So, unless you pride yourself on doing something eminently newsworthy every single day, the most common type of press release you’ll write is for someone else. PW: This is true. Although sometimes a large part of the challenge of writing press releases is that something the client sends you isn’t necessarily eminently newsworthy either! They’re doing it for self-promotional purposes. Your job is to take their brief and turn it into something that sounds like news, even if what you start with is a brief about a company having hired a new member of staff, or having held a raffle or got a new car park. LH: I’m laughing because I’m remembering the horror I’ve faced in the past. Yes, that’s sadly quite true – I remember being asked to write a press release for one of my clients on something really quite unexceptional, and being asked whether I’d be able to get it on the 6 o’clock news, please! If I can, I thought, I’m charging too little – it’d be a miracle! To be fair, it might be that the subject matter really is lacking; other times, though, it might just be a question of finding the right niche. It’s important to bear in mind that it’s not all or nothing with a press release – while it might not be breaking national news, it could still be of interest to the client’s local regional publications, as well as trade press. PW: Absolutely. If they sell copper pipes and they come up with an innovative new copper pipe, you might think, “Who cares?” but plenty of people do. Send it to the Daily Mail, they won’t care. Copper Pipes Monthly will love it! LH: If you get some sort of immigration angle on it, the Daily Mail will love it – Foreign Copper Pipes Taking Over British Steel! PW: Hahaha! Killing our swans! LH: Haha, killing swans – I do like that! The Daily Mail is fond of talking about Her Majesty’s swans! But yes, sometimes it’ll just be a matter of luck – regional press or trade press might be having a slow news day. So if your client just cut the red ribbon on a new car park, as you mentioned earlier, maybe their local paper might want to cover that, especially if there are some nice pictures of the mayor cutting the ribbon. PW: Yeah, if it’s three days after Christmas and literally nothing’s happening, then you might get it in. If there’s just been a local disaster, you’ve got no hope. LH: “Local disaster, followed by really nice car park!” Oh dear! But it’s a tough balance. If your client sends out a press release to, say, their local newspaper once a week on something utterly ridiculous, they might end up getting black-listed as a bit of a spammer. But, unless you’re looking at something absolutely ridiculous or offensive, I’d leave it to the client to decide when a press release should be sent. As I said before, you might find it deathly dull, but there might well be a very interested target audience. PW: This is very true. Interestingly, today on Twitter I’ve seen a lot of usage of the hashtag #notnews, which people are using to highlight when traditional news websites publish content about a celeb losing weight, or a footballer having dyed his hair (this was a genuine #notnews story this morning!). LH: I saw one today on the Daily Mail – it was a photo of Jennifer Anniston smiling and it was entitled, “Chin chin – Jennifer Anniston shows of a fuller face” and she looked exactly the same as she always does. PW: And it’s just not news, is it? LH: Well, I think I need to write to the Daily Mail about those copper pipes if Jennifer Anniston’s chin is considered news! PW: There may also be occasional occasions, if you will, when you want to send out a press release on behalf of yourself. Perhaps you have won a writing award, or published a book, and you are keen to raise your profile by alerting local press, or trade publications. It can sometimes be difficult to be entirely honest with yourself on these occasions, about whether your news really is… well… news, so checking out with somebody else what they think is a good start. We might feel so overjoyed just by handing in a big website rewrite that we think the world would care, but they wouldn’t. LH: Haha, yes. Breaking News: COPYWRITER DOES WORK! PW: However if you genuinely do have something newsworthy, you can consider sending out a press release, because it can definitely help you to make a good name for yourself, and raise your profile. Follow the same rules and guidelines as if you are writing one for somebody else, write it in the third person, and send it out to *relevant* publications, not to all and sundry. If nothing else, annoying reporters does not help you when you have future “news”. LH: Definitely true – it taps into what we were saying earlier about clients sending something out every week; you don’t want to get yourself black-listed. That said, because we’re British, I do want to say that you should be fair to yourself as well – if you’ve genuinely got some news that you’d be happy to share on behalf of a client, don’t hold back just because it’s you and you feel a bit shy or silly. Remember, you’re not promoting yourself; you’re promoting your business in a perfectly normal, reasonable way. PW: I know one guy who bought a subscription to one of the big online press release distribution services, and the subscription he bought entitles him to send one press release a day. In order to feel he hasn’t wasted his really big investment, he does send out a press release every single day. That can work if you’re a multinational, but he’s just a bloke running a fairly ordinary business, so you can imagine the kind of “news” he lumbers them with. And you really, really don’t want people to automatically switch off when they see your name in their email inbox! LH: It’s so massively unfortunate – there really is such a thing as overkill and this would be a perfect example. I think a lot of clients I’ve spoken to are a little confused by the difference between press releases and news articles – they use the terms interchangeably, and I do sometimes have to go back to them and check. The problem is that it can lead to them viewing the functionalities of the two types of writing as interchangeable as well. PW: Whereas, as writing exercises, they are pretty much at the opposite ends of the spectrum! I’ve got some clients who tell me that they want, say, five press releases a month writing, but they’ll actually be closer to reports. Or blog posts. They do send them to the press release search engines, such as PR Newswire and Business Wire, but it’s pretty obvious that, while this will be handy for, say, Google ranking, because it’s not excessive, it’s not likely that the work will be picked up by publications. The Times isn’t going to be on Business Wire looking for this client’s press releases. PW: I think a lot of businesses fall into the trap of saying, “OK, we want five press releases a month” and then look for stories, whereas it’s better to do it the other way round – to do something good and then write a press release about it. LH: Definitely – it feeds into what we were saying about mixing up press releases and news stories. I write news stories for people and occasionally, I’ll say, “I think we can get a press release out of this.” So I’ll write them a nice press release and then you can bring that down to a nice news article as well, but generally a news story is just a news story. PW: There are some reputable – and generally expensive – PR distribution services online, and there are some free or cheap ones which send things out indiscriminately, and could result in Google penalties if links to your – or your client’s – sites end up on 8,000 article directories, so do be careful. A good way around it is to have your own personal contact list of journalists and publications who you have built relationships with over years. Your releases are much more likely to be read if they go to somebody with a specific interest in what you are writing about. LH: God, yes – you have to be so careful not to spam people. Previously, that wouldn’t have done any damage, but with the new Google algorithms, that’s a total no-no. So readers, if you’re interested, that’s the Google Penguin and Google Panda updates. So yes, be so careful not to spam. Going back to the idea of having personalised mailing lists, that’s actually a service I provide clients with – particularly new start-up firms – and it’s a far better approach to send reasonably frequent press releases to people you know are going to be interested rather than sending a big hit or allowing a site to do it on your behalf, both of which are in dodgy legal territory anyway. You’d not only be looking at getting yourself a whole bunch of Google penalties, as you point out, Pip, you’d be looking at making your business (or your client’s business) synonymous with spam. If your client is clueless and they take a hit from a press release that you’ve sent for them, it won’t do your reputation any good either. So, now we’ve talked a bit about what press releases are, and how they’re used, we want to discuss how to write one. This is something that both Pip and I have noticed that a lot of writers – massive hand movements here! A LOT! – get horribly wrong and, as we’ve mentioned before, that can have disastrous consequences. Not only that, they’re supposed to be a basic thing – one of the staples of copywriting. There’s no excuse. PW: Definitely. If a business hires you for any copywriting work and they like what they do, you have to expect that a press release will come your way at some point. As Lorrie says, they’re a staple. Unlike virtually all other documents you might be commissioned to write, press releases are virtually identical to their typewritten counterparts years ago. They are very restricted in their style and formatting, to the point where I actually have a checklist that I use every single time I have to write a press release. This is to make sure that each odd little necessity is included, from the date and location (and that the date and location are probably in bold italics), to how the document is ended with three hashtags, and so on. LH: Slight variations on these conventions can sometimes be acceptable. For example, some press releases are finished off with the word “END” or “ENDS”, centred and capitalised. But for the most part, and with a few style issues like this aside, a press release will (or should!) always look like a press release. PW: Yes, if you google “press release template” or “blank press release” there are lots of examples available. Especially if you’re new to this, it’s good to have a look at a lot. They will all differ slightly, but once you’ve had a look at a dozen or so, choose one and stick to it. Alternatively, the company you are writing for might have a particular template that they want you to stick to, so always check with them before making a start. Otherwise, choose the one you prefer and use it from then on. There are also features like notes at the bottom, including contact details of a relevant person within the organisation, and the release itself is generally written in a way that starts with the most important, newsy news, and then as it goes on, goes into more detail and explains things more. LH: Yeah. When it comes to finishing off, you’ll have your Notes To Editors bit, and you might also have a notes bit, so “For more information, please contact…blah blah.” In the notes to editors, I mention company style, so if there’s a date or a capitalised word, I’ll put them in there rather than bulking out the press release. PW: Yes, or a source – if you mention a survey, you’ll want to include the link. LH: Right – because you don’t want to go above, say, one and a half pages max, really. But yes, as you said just now Pip, it’s always worth starting a press release with something resembling a two line summary of the news itself, so, for example “A pair of famous UK copywriters have started a podcast that seems destined to take over the writing world.” Just, you know, for example. PW: Haha, of course. I can’t think where you got that from! You need the opener to really catch the eye. Clarifications and details come later. And overall the document shouldn’t be more than two pages long, and it’s ideally around one A4 page. LH: In terms of actually formatting the release, and the aesthetics of it, it’s worth suggesting to clients, if they don’t have this already, that they have a media header and footer designed – attractive graphics with which you can top and tail the press release, and which contain the company name and logo, contact details, slogan etc. It’s just a nice bit of branding to finish the piece off. If my clients don’t have one, I tend to include their logo in the header space for them. PW: Yes, that’s interesting – I do similarly. I will usually send them a plain text, or .doc version of the press release, and also create a .pdf version with their logo on, too. I send both and they may choose the plain text one, but otherwise, they’ve got the pdf. When you’re doing work for a client, you have to go with their preference. There’s no negotiating if they want x or y header. Unless something to do with the writing is specifically not right, that’s it. LH: You’re right – the customer isn’t always right, but the customer is always paying, so unless they’re asking for something totally wrong, it’s important to give them what they want. It might not be to your taste, but what are you going to do? So, once your formatting is sorted, it’s important to get the tone right. As we said, in a number of ways, a press release isn’t a news story. It has a lot of the same content, but it’s not one, and this goes for the tone as well. PW: Absolutely. Another thing about the tone and style is that it’s formal writing, but needs to be catchy and friendly, but it’s not casual and chatty. You’re getting across important information in the style of a news report in many ways. It needs to be eye-catching – if you write a dull press release, no one will get past the first line – but keep it formal at the same time. LH: Definitely. With a number of my clients, they like extremely informal press releases with loads of friendliness, exclamation marks etc. It’s very much The Sun / Daily Mail style writing, it’s horses for courses and that’s fine. That’s NOT fine, however, for a press release. One final point I’d make is that press releases are written in the perfect tense. It gives a sense of recentness and ongoing relevance. It’s a subliminal message and the journalists who read it will think that this just happened and it’s still worth writing about. Now obviously the whole thing doesn’t need to be written in the perfect tense – if you’re giving background, for example, that’s a step further back, but for the introduction, you really should be looking at perfect tense. LH: I really want to hear how you’re going to substantiate this now! PW: Haha! And then further down, you’d give our names, then mention our listening figures had grown by x percent. You need to be catchy but you need to back up your soundbites lower in the document. LH: One of the most uncomfortable experiences is when a publication picks up one of your client’s data-sparse press releases and puts almost everything in inverted commas. So, “The company has seen, quote, “a large number” of improvements in, quote, “the last few years”…” Because none of its evidenced and a publication will quote you as saying anything they can’t back up. LH: Or, worst, “The company claims…” which is awful. Sometimes companies will try and go a bit light on the data to avoid letting competitors know too much, in which case, they just shouldn’t send a press release, because I’ve seen lots of “The company claims…” articles and it looks really bad. LH: So, another important point to remember, if you’re the one sending the press release out – or if you’re asked to advise a client on how to do this, is how it should be framed in the email. You need to attach the press release, and a zip file of any relevant images – nothing huge but not thumbnails – as well as including a short message in the body of the text, plus a couple of lines and a copy of the press release text below that. So, your letter might be something as simple as, “Please find attached and below a copy of a press release detailing, [insert specific details here], which I hope will be of interest to you. If you would like further information on this subject or a higher resolution version of any of the attached images, please do not hesitate to contact [insert person’s details here]. With kind regards etc.” Don’t make it any longer unless it’s a one-off email to someone with whom you’ve had previous discussions on the same matter. Even then, don’t make it much longer! 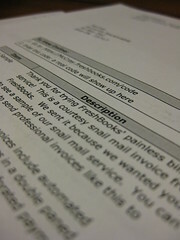 PW: Yes, you don’t want to distract from the purpose of your email, which is the press release. LH: Yes, keep the press release above the fold of the email. You don’t want to write six or seven paragraphs and have someone scroll, scroll, scroll until they find the press release. PW: Or forgetting there was a press release full stop! And what Lorrie said about pasting the text into the body of the email is really important. A lot of people are understandably wary of opening unsolicited attachments, so always make sure you copy and paste the text of the release into the body of the email, as well as sending it as an attachment. The easier you make it for a person to access, the more likely it is to be picked up. I know from writing for blogs that receive press releases, you really do get a lot of them, and they have to 1) stand out, 2) be coherent 3) meet at least some of the usual conventions, and that’s just for them to be read properly, never mind acted upon! LH: Totally agree – one of the most annoying things people can do is send you an attachment with absolutely no hint in the email of what it’s about – something like, “Please see the attached press release” is definitely not a winner. Another point I’d make is that you should make sure to give your documents an appropriate name. “Lame-arsed PR for loser client” is a terrible name and you should be looking at a title with a date, an underscore, a brief title and dot whatever. PW: Another point to mention is that many PRs have to be submitted via online forms, most of which don’t even accept attachments. LH: Good point. So, to sum up, press releases are a very exact science, rather than a strictly creative type of exercise. While it’s important to write them well and include lots of information that’s going to grab the reader’s attention, the formatting does need to be quite strictly observed. PW: Defnitely. I, and a lot of copywriters, charge quite a lot more for press releases than for news articles because I can take three or four hours to get a press release right. If you do it properly, it’s quite a big job. LH: What I tend to do is combine press releases and news stories. I’ll perfect a press release and then bang on a news article quite quickly afterwards – knock off the header/footer, get rid of information based on the assumption that the reader hasn’t heard of the company, getting rid of a couple of middle paragraphs, bringing the tone down, changing the third person to ‘us’ and ‘we’ etc. Then, they can use it as unique content for their website, as well. PW: Yeah. Now, it’s time to go on to this week’s Little Bird Recommendations, in which Lorrie and I choose something that’s caught our attention over the course of the week. So, Lorrie, what’s your recommendation? LH: My recommendation isn’t something that’s really related to press releases in any way, and I think that’s OK because press releases can be really tiring work. So what I’m going to recommend is a lovely website called http://search.creativecommons.org/. And it’s a lovely little resource where you can find lots of creative commons licensed media – photos, videos, music etc. Basically, this kind of media can be used on blogs, websites, etc with no copyright issues. It’s been released by the author of the piece for general use; depending on the type of license, you can use it for commercial purposes, you can modify it. The lovely thing about this website is that you don’t have to go to all the various websites – it pulls in media from the various websites. If you just go to creativecommons.org, you can click whichever website you want and it’ll open the site for you. It’s lovely for perking up blog posts a bit. PW: It’s always good to add a bit of visual interest to your blog. And, if someone spots a lovely picture on your blog, someone might decide they want it on Pinterest and you could get a load of back links to your website. Just one thing: make sure you check how the artist wants you to use the image – you might have to credit the photographer. LH: A good way to do that is to either credit them at the bottom of the post or to include their name as part of the file name when you upload it. PW: You meanie! At the end of…hahah! LH: They’re so awful, you can’t do it. You should be reassured by that! PW: At the end of the day, you want to break through the clutter and streamline what you bring to the table. LH: it’s just vile – and my immediate thought was that I had no idea what you were talking about! PW: Yes, that’s part of the point and everyone kind of hates them, apart from the people who use them all the time. In business, there are so many. “Going forwards” is one of my least favourites, I have to say. The worst thing is when you find yourself using them without realising them. It’s meaningless, it’s alienating, it’s lots of awful things. So the author, Lori, from the Words on the Page blog, gives some really good advice on getting posts, emails or social media messages out that are short, succinct and don’t talk about paradigm shifts and proactive synergy. LH: When I was at University, we actually did specific courses to make sure we came up with “crystal clear English” and what I noticed is that councils and government organisations are some of the worst for language like this. Surprisingly, really large organisations are bad as well, even though they have enough of a marketing team to know better. PW: There’s an organisation called the Campaign for Plain English and they offer awards for clear and easy-to-read leaflets. But they also offer an award for the worst gobbledegook every year. LH: it wouldn’t surprise me at all. It used to take us the best part of a whole lecture to work these things out! A communication is supposed to be telling people something – otherwise, what’s the point? PW: Especially to something from a council – that’s going to people with PhDs and people who haven’t finished school; it’s supposed to be accessible. It might be about your home, your bills, your transport. It’s not fair. PW: Hahaha, and it’s so true! LH: People seem to think that they have to write fancily in order to write ‘well’ but the fact of the matter is that you have to take your audience into account. So, we hope you’ve found this podcast episode really helpful. As we said before, press releases are an essential part of your copywriting artillery because it’s embarrassing if you can’t, frankly – it’s one of the basics. Once you’ve got the rules down pat, it’s not something that’s hard to do. As Philippa said earlier, choose a template, make sure it’s correct and stick to it. If your client wants to deviate, that’s their business. But when it comes to you offering guidance or taking free reign, stick to your approved template and you won’t go wrong. They’re formulaic but they’re supposed to be. Make sure they’re well written and make the information as easy as possible to find. PW: Yes, if you want someone to pick up your story, make it as easy as possible. It’s self-promotion for you or your client, so schmooze if you need to. LH: Yup. If you’ve enjoyed this podcast, we’d love you to subscribe at alittlebirdtoldme.podomatic.com. You’ll never miss another episode. PW: It’d be tragic if you did, so subscribe and save us all from that devastation. You can come and have a look at our Facebook page – the link to that will be on the podomatic page, as will all the links we’ve mentioned in this episode. PW:…and I’ve been Philippa Willitts, and thank you very much for listening! It’s the first day of a brand new year, so it is time to make some goals and set some aims for what you want your freelance business to achieve in 2013. In this episode, Lorrie and I discuss why goal-setting is a good idea, and we discuss some of the best ways to ensure that the goals you set are ones you can stick with. Enjoy, and happy new year! LH: Hello and welcome to Episode 20 of A Little Bird Told Me – the podcast about the highs, the lows and the no-nos of successful freelance writing. You can subscribe to the podcast in a number of ways: just visit our podomatic page, at alittlebirdtoldme.podomatic.com and subscribe via RSS feed, iTunes or Stitcher Smart radio – or just on the Podomatic page itself. That way, you’ll never miss another episode. Additionally, there you can find the link to our Facebook page and to the numerous websites and social media feeds of myself and the lovely Pip. I’m Lorrie Hartshorn. PW: And I’m Philippa Willitts, and welcome to the first A Little Bird Told Me of 2013! 20 episodes in – I’m not sure we when we started that we ever thought we’d get to this point – but the podcast is happier and healthier than ever, with lots of listeners and the number 2 spot on Podomatic, which is amazing! Today we’re going to be talking about setting goals for yourself as a freelancer, goals for both you and your business, starting out with why setting goals for yourself is so important. LH: While lots of people might be just getting over their hangovers and setting out their New Year’s Resolutions around now, the kind of goals we’re talking about are those that will help to move you and your business forward. And, unlike New Year’s Resolutions, they’re not designed to be conveniently forgotten about at the earliest possible opportunity like that whole “I’m going to go to the gym four times a week!” one that I totally didn’t resolve to do! PW: Or don’t eat chocolate ever again. PW: Why on Earth would you want to do that? You might get hit by a car in August and spend your last moments wondering why you’ve missed out on eight months of chocolate. LH: Can you imagine if it you got hit by a Cadbury’s truck? PW: That’s a beautiful short story. LH: Thank you! I might note it down! PW: Yes, so like Lorrie said, resolutions tend to last about a week or two, whereas setting goals can be a really useful exercise to make sure you are achieving the things you want to achieve, and going in the right direction. It can help you to stay motivated, as well, and can make sure you do tasks you might overlook otherwise. LH: Yeah, definitely a good way to keep on track. So, first of all, what types of goals might freelance writers set – or freelance anythings, for that matter? It makes sense to split your desired goals into two areas: personal development and business development. Personal development would include things like training, courses, research and all kinds of things that will help you to improve your knowledge and skills. Business development aims are wider goals, really – what you can do outside your writing and editing savvy to make sure you win clients, keep current clients (and yourself!) happy and grow your business, improve your marketing as time moves on. PW: I agree that’s a good way to divide them up. I’d add an extra area though, because it ties in to one of my own most important goals for this year. Because we know, as freelancers, how work and not-work can easily merge into one big half-working situation, so I’d add a work-life balance section, because one of my goals is… *drum roll* to take a whole week off in one go. Not divided up, so two days here and there, but a whole week in one go, and in a very planned way so I can get extra work done the week before and inform all my clients in advance. But a whole week off in one go. Radical, eh? LH: Haha, it’s the sort of thing I’ve only ever dreamed of! But no, you’re right – joking aside, I’ve done it a couple of times. Freelancers, like anyone else, we’ve got the right – and the need – to take a really good stretch of time off in one go. It’s important to recharge your batteries, so yes, let’s go with three areas, then – personal development, business development and work-life balance. PW: Awesome. In order to start setting goals, you need to know what you are aiming for. Otherwise they might be a bit pointless and lead you nowhere. Ask yourself where you want to be this time next year. Do you want to be earning more? Do you want to have specialised more? Do you want more regular clients? Or, equally valid, do you love everything as it is, and want it to be just the same? If you know where you want to be, you can start to make a plan to get there. LH: Yes, I think people tend to have vague hopes for where they want to be in a year’s time and they’re happy to see where the road takes them when it comes to achieving them. 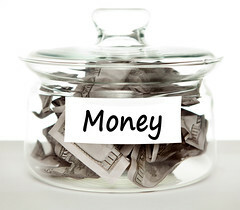 Sometimes, if you’re in a salaried position in a company, that’s an OK tack to take. The company you work for will develop externally of you, and you can base your own development on where that takes you. Say, whether you decide to spend more time on training and development, whether you decide to work towards an internal promotion or whether you decide to change companies – or even career. LH: If you’re freelancing, though, you don’t really have the luxury of ruminating on your goals for the year. You are your business, and you need to keep those plates spinning. Setting realistic, sensible and forward-looking goals is a great way to do that. PW: Absolutely. The way I’m looking at it, in terms of my own goal setting, is that there are big goals and there are small, regular goals. So you might set a bigger goal, that by the end of the year you will have had 4 short stories accepted for publication in anthologies. That can be broken down, so you know that if you get one accepted every three months, you are on track to succeed. Alternatively, you can set smaller, regular goals, such as an aim to contact 20 new prospects every month, or earn £2,000 a month. Rather than aiming for one massive achievement, committing to regular, smaller achievements can help it to stay realistic and feel attainable. LH: This is it – it’s a question of eating an elephant, isn’t it? LH: I’m hungry, I’m sorry! I’m vegetarian, which is more worrying still! PW: I’m not, but I really like elephants! LH: You want your goals to make a real difference to you by the time a year’s up – it’s a good stretch of time, but time is easy to lose – but that doesn’t mean you have to go charging in and trying to transform your life in one fell swoop. In fact, I’d agree with Pip on this and recommend smaller goals that add up to one big one over time. If you make your goals bite-size and regular, they’ll be far easier to incorporate into your already busy life. PW: Yes, and if you have one massive goal to achieve by next January, it’s pretty easy to ignore it until…say, November! Whereas if you need to something this week, then next week, then the week after. It makes it easier to keep on track. LH: Definitely, I keep a paper diary as I’ve mentioned before and I’ve gone through my diary at the beginning of the year and blocked off Friday afternoons for creative writing. Once it’s blocked off, it’s achievable. PW: Absolutely, like Lorrie says, making a huge change isn’t what we’re talking about. You can’t realistically expect massive change overnight. LH: So, when it comes to sitting down and figuring out your goals, you might feel a bit stuck. Which ones to choose? Which ones to pass up? Why? After all, how do you know if something’s a good goal to have? Pip and I want to recommend a goal-setting method that’s used by many organisations as a way of outlining KPIs – or key performance indicators – and making sure that goals are achievable and easy to keep track of. PW: That’s right. It’s one of the most well-known ways of goal setting, and it’s called the SMART framework – it helps you to set goals which are specific, measurable, attainable realistic, and time sensitive. LH: Yep. While it is sometimes tempting to dismiss templates like this as cheesy ideas, there’s a reason they’re so popular: it’s because they’re effective. As I mentioned earlier, it’s not a good idea to try and wing it when it comes to a freelance career and being self-employed. So, even if you feel a bit silly or cynical when it comes to setting goals in line with a specific framework, as I did at first, like the SMART method, it’s still worth sitting down and actually spending some time doing it. LH: The fact is, if outlining a few goals in line with the framework is difficult for you, your business is probably lacking a bit of direction. And remember, spending a few hours on something like this might feel like a waste of time, particularly in the busy New Year period, because it’s not earning you money, but it’ll set you up really well for the year ahead. 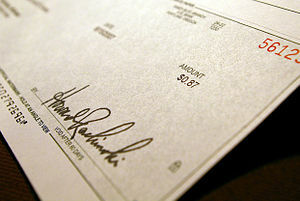 PW: So if we start by looking at specific, then in terms of one of the possible goals we mentioned, let’s look at pay. Do you want to earn £30,000 this year? “Earn more” is no good, choose the wage you want to attain. A target for earnings is also nicely measurable – it’s easy to tell whether you’ve met your goal or not. PW: Other specific and measurable goals might be that you want to send 5 pitches every week, or gain 5 new clients. LH: Probably not five new clients a week, though! PW: Haha, no, I meant in general, perhaps regular clients! LH: Phew, I was starting to think I was lagging behind quite significantly in terms of marketing there! PW: Setting goals which are attainable and realistic is very important. If you’ve earned £12,000 this last year and your aim for 2013 is to become a millionaire, then I hate to break it to you but you’re unlikely to succeed. PW: I know! You might, of course, but as goals go, it’s not that attainable or realistic. LH: Definitely. There’s always this big dream, especially when we read about lucky ducks who’ve become overnight millionaires, but you’re setting yourself up for disappointment if you don’t keep your goals realistic. For this reason, I think it’s important to brainstorm a few ideas when it comes to trying to find attainable goals. On the one hand, you don’t want to rest on your laurels and end up with a five-year plan that consists of “Do the same as last year”, then “Ditto, ditto, ditto, ditto.” That’s cheating, so don’t do that! You need to devise goals that are aspirational but not entirely out of reach; goals that motivate you because you can visualise ways to achieve them, maybe three, six or twelve months down the line. On the other hand, though, while you should have to reach for your goals – and use them as a means of advancing – don’t go reaching for the stars unless you’ve got a space ship. This isn’t a film, it’s a business, so keep things sensible. What I’m saying, really, is that it’s crucial to find a balance. Goals which are timely are those which have a particular length of time in mind for when you want to achieve them. Going back to wanting to have 4 short stories accepted into anthologies. That’s a nice goal, but if it’s in general you will have no motivation to make it happen this year. As a goal to achieve before the end of the year, you will be much more proactive. Similarly do you want to earn £30,000 this year, or in total for the rest of your life?! So, set time limits. When goals have a time limit, this helps them to be measurable too. All these different factors play into each other to create goals that are pretty resilient. LH: Absolutely. I think this touches on a really important point that’s worth reiterating. While goals should be a really positive, motivating way to start your New Year, there’s no point spending a half-day or day outlining them if you feel comfortable sacking them off a week or a month later. That’s another reason it’s so important to make sure you address all of the factors above – if you choose unsuitable goals, you’re more likely to think (probably correctly) that they were a bad plan in the first place and shouldn’t be stuck to. PW: Absolutely. Once you have set your goals, you need to stick to them or, as Lorrie has just said, they are a pointless exercise. Think about the things that, in general, help you to stay accountable. Some people make sure they tell other people their New Year’s Resolutions, so that if they are caught smoking, or eating pizza, they can’t pretend they weren’t supposed to! LH: Yeah, accountability is a really important thing. I like to make quite a thing of my annual goals by writing them down on a really big bit of A3 card in my office. Also, for smaller goals, the fridge – no kidding! – is a really good place to have them. Particularly personal goals. I head to the kitchen several times a day – for tea, lunch, dinner, snacks, whatever – and to have the goals there where everyone can see them and I can be reminded of them really does help. PW: Something that can help me is having something that reminds me of why I chose that goal in the first place. If I’ve lost my motivation and can’t be bothered, then being reminded that I’m doing this because of x, y and z can boost my enthusiasm for the project again! If I don’t want to send out another pitch but I can contextualise it and remember why I’m doing it, it’s a boost. LH: Ooh, you could have your one-week holiday destination there on a lovely postcard! PW: Yes! 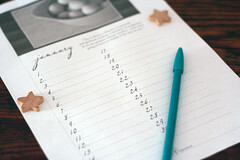 Setting up a regular time each month, or each week, to monitor how you are getting on is a good idea. For instance on the first of each month I do all my financial stuff. I think I’m going to add goal monitoring to that day each month. I can review whether I am meeting my goals, exceeding them, or failing entirely. If you revisit them in this way then you can decide if they actually need revising – if by April you’ve had 6 short stories accepted, then change your goal to keep going. Whereas, if you’ve had none by September, then perhaps aim for 2 by the end of the year in that case. There’s no point stubbornly sticking to a wrong goal just because it’s what you decided on the 1st Jan.
LH: definitely – and this is one more reason your goals should be measureable. PW: Absolutely. Regular reviewing and monitoring can help you to check your goals are realistic and attainable, and if one is clearly very wrong, it gives you the chance to do something about it. It can also give you a kick up the bum if you’ve got lazy on one or two. LH: it’s true – t’s easy to get lazy at the best of times. Also, if you’re new to goal setting and freelancing, it’s a bit of a shock to the system to realise you’re the only driving force behind your own career. It can be scary, and New Year can be a scary time anyway and a lot of people tend to have real existential crises – “What am I doing with my life? Where’s this all going? What does it all mean?” But by having it all bullet pointed nicely and what have you, you can see what you’re doing, go back and revisit it. As Pip says, don’t stick with something if it’s not working – give it a go (hopefully the tips in this episode will help you come up with some goals worth sticking to!) but don’t stick to something arbitrarily if it’s not working. LH: The next thing we want to discuss is what to do if you don’t stick to your goals. And, as Pip just said, making time to assess your performance in line with your goals should make it easy for you to see how you’re getting on. Again, as with the setting of the goals in the first place, don’t try and cheat your way out of your assessments. PW: You’re only cheating yourself! Haha! LH: It might well be tempting to skip a weekly or monthly goal check, especially if you know 100% that you’ve been really flaky on one or two (or even all) of them, but you’re only kidding yourself. The sooner you look at your goals, the sooner you can iron out any problems. If you find that all’s not well in the homestead, you need to work out what’s happening. Depending on how you work best, you might want to sit down on your own and have a little ‘heart to heart’ with yourself on why something’s not gone to plan. Or, if you have a trusted person like a partner, colleague, friend or family member, maybe sit down with them and try and pinpoint the issue. It might be that the original goal is fine – you’re just not quite going about achieving it in the right way. Or, it might be that the goal needs some tinkering. I think that’ll often depend on whether it’s a small, medium or large goal – if you find that you’re in month six and your plan was to earn £30,000 in the year, but you’re only on £5,000, there’s obviously a real issue that might need you to shift one of the goal-posts as well as altering your working methods as well. PW: Yes, an important point to make here is that reviewing and possibly revising them is not to be used to get out of a task you’re bored of. It’s strictly for goals which it has become clear were totally out of whack, one way or another. LH: Good point. If you get three months in and find that your goal of keeping better track of your finances by having a weekly session with your online banking interface and your spreadsheets is boring, it’s not an excuse to lay your hand across your forehead and bemoan that, “This is not for me…this was THE WRONG GOAL” As long as a goal is going according to plan, leave it alone and just do it. PW: Or, you could take my goal to an extreme and just take the final 3 months of the year off!! Not if you ever want your clients back, however. LH: Yeah, I can’t see many of my clients welcoming me back with open arms after a three-month break! PW: That is one of the fears of taking time off, isn’t it? If they need to find another copywriter to cover you for a week, then they’ve got another copywriter on their books! LH: What I’ve always tended to do is mention the holiday *way* in advance and prepare, say, news articles before the week or two weeks comes around. The last thing we want is some other copywriter coming in and smooching up our clients! PW: Yes, that’s absolutely my plan actually. Warn regular clients, and do as much in advance as I can. LH: As long as you know when you’re going to be off, you should be fine – you have a good level of communication with your clients, they know from experience that you’re committed to keeping the work at a good standard and they know you’re flexible, punctual and accommodating. PW: Aww thank you! And yeah, that’s the thing. It’s not like I’ve taken no time off this year, it’s just that it’s been a bit ad hoc – if I was having a quiet week I’d have a few days off. This is different because it will have to be planned far in advance. LH: And you’re quite entitled. While being a freelancer is a bit different to being salaried, in that you are your business, you’re still very much entitled to some time off. I think, as well, there’s a tendency to think too big when it comes to taking time off. Because you’re used to being so busy when you’re self-employed, and to carrying the whole business, you feel like the world will end when you don’t check your emails for a day or so. LH: Haha, I didn’t want to say it, but yes! The funny thing is, though, that other people don’t even notice – it’s sod’s law! You have to remember that people aren’t sitting there focusing on you, you, you. Think about it – I don’t send an email and then sit there wondering when that one person will get back to me. I expect a delay of some hours or days, depending on the query. PW: It’s true, but it’s hard to escape the feeling that sitting in your inbox is your DREAM assignment, with a 25 minute acceptance limit. PW: I haven’t told you this yet, but my auto-responder will probably say, “If you have a copywriting emergency, please do contact Lorrie”! LH: Um, thanks?! Good to know I’m recommendable. Maybe I can be your Little Bird Recommendation for the week! PW: Lorrie, as transitions go, that was SEAMLESS. Beautifully done. PW: Maybe next time! So what’s your recommendation this week? LH: So, this week, my recommendation will be put to shame by Pip’s, but it’s nice and simple: business cards! I got caught out last week when I met a prospective new client, reached into my hand bag for a card and realised that I’d changed my handbag. For new freelancers, I’d recommend you get on the internet and have a look for free business card samples. My personal favourite is Moo.com – they offer 10 free business cards, totally personalised, so get them, and stick them in your wallet! PW: Like you say, when you go out shopping, you’re not actively looking for clients, but you do want to be prepared. I do keep some in the back of my diary, as back up, really. Now, my recommendation is a course I took recently. I found it on Alison.com and I think it’s fair to say that the quality on there varies a lot. But this one, I loved. I am a bit of a search geek, so when I saw they had an “Advanced Search on Google” course, taught by a guy from Google, I couldn’t resist. It didn’t disappoint. I already used a few of the tips, such as putting a minus in front of the terms you don’t want to include. I remember, I got glue ear once, and searched for it on Google, but realised most people who get it are toddlers and babies, so I searched for “glue ear” minus babies, minus toddlers, minus children! Another one of the advanced search functions I use is searching within a certain time frame. For example, if I need current statistics, but I google and find results from 2009-10, that’s no use. So I search within the last week or month. 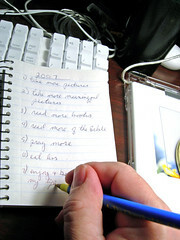 But there were so many more tips and tricks and they’ll help me a lot in the searches I do when researching articles. Even if you’re strangely not like me, and excited by searches, you can still benefit from this course. The link’s in the show notes at alittlebirdtoldme.podomatic.com, the course is free – it’s about four hours of video, perhaps a bit less. LH: And please, if you’re interested in search, please, please get in touch with Pip because she needs some like-minded friends! Please don’t make me to talk to her about search any more. 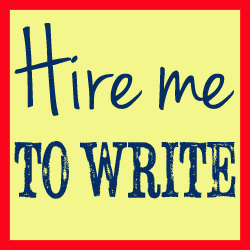 When you decide to become a freelance writer, you think, “Ah, writing! I like that, I can do that!” but what you don’t realise is how much you’ll have to baby step clients through finding up to date, relevant information for their stories. PW: that’s often why they hire you – because they don’t have time to do it. LH: It’s also something to pop on your CV and on the training section of your website. People like to think they’re getting value for money, and if they see you’ve just taken a course, they’ll like that. PW: Plus, people hire me to write about search so it’s my duty to take training on it. Also, I love it! LH: Haha, I knew that was the real reason! I can see you rolling around in search print-outs. PW: Life wouldn’t be interesting if we all liked the same kind of thing. LH: True, we both love grammar, for example. PW: Me too! What I really find interesting is when someone whose first language isn’t Eglish uses a particularly word order or grammatical formulation because that’s how they’d normally do it in German or Swedish, for example. LH: That’s a service I offer, actually – it’s called target text only editing. So, you’ll have a text that’s been translated from, say, Swedish to English, and there’ll be mistakes in there that, if you have no knowledge of Swedish, you won’t understand why they’re there or what they’re supposed to mean. So it’s a cross between translation and editing, really, and it’s something I do offer because I can see why someone’s put what they’ve put, take it back to the original language and try and decipher what was meant. PW: I used to know the only Welsh to Swedish translator in the world! PW: There wasn’t a whole load of work, but what there was, she got! She was Swedish, went to Uni in Wales and as well as picking up English, perfected Welsh as well. PW: So yes, we’re both geeks in our little…well, big ways! LH: So, we hope you’ve enjoyed this podcast and that it’s a really positive way of getting into the swing of things for 2013, by setting some goals that will help drive you and your business forward. PW: And come over to our Facebook page and tell us what your goals are! LH: Yes, tell us how you’ve used the SMART framework to come up with some self-employment goals. Pip and I might share some of our own as well. LH:…and I’ve been Lorrie Hartshorn, and we’ll catch you next time!